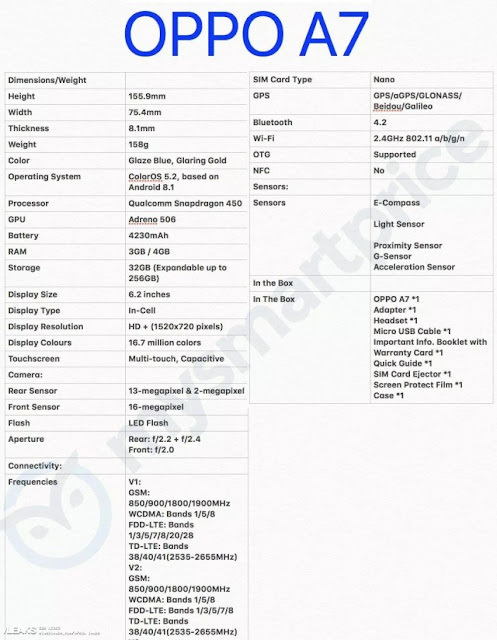 TECHNOLOGY-PORTFOLIO.NET - Recently a list of specifications has appeared that fully displays what specifications will be carried by the next smartphone from Oppo, the Oppo A7. For the lower middle class segment, Oppo does rely on its A series and if seen from the A7 specifications it does not bring anything spectacular. 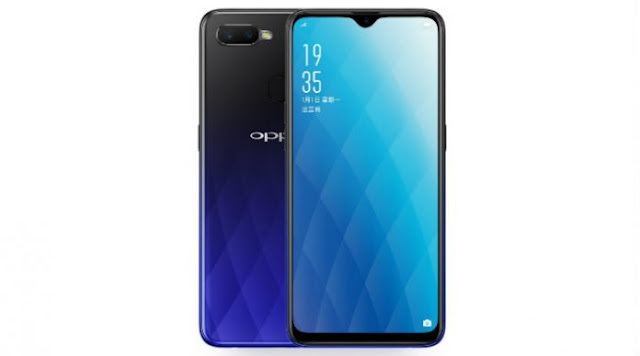 If the Oppo A7x previously launched by the company is a slightly lower variant of the Oppo F9, now for the Oppo A7 it seems almost identical to the Oppo A5. If we look at the list of specifications of the Oppo A7, then we will find specifications that are arguably standard, such as the 6.2-inch wide-screen full-screen IPS type and have HD + resolution. As for the kitchen, this smartphone will be powered by a Qualcomm Snapdragon 450 chipset which is fairly ordinary for the lower middle class. Unlike the Oppo A5 which comes with a 4GB RAM variant only, the Oppo A7 will be present in a 3GB RAM variant as a lower model while maintaining a 4GB RAM model as well. But for internal storage, it seems that the A7 only has a 32GB variant that can be expanded by microSD, while the A5 comes with internal 64GB as the standard. If you're wondering what upgrades the Oppo A7 brings, the answer is an increase in the selfie camera. Oppo equip this smartphone with a 16MP resolution front camera that has f / 2.0 openings. Whereas the rear camera still uses a 13MP + 2MP dual-camera setup. Unfortunately for now it is not known what price will be offered for the Oppo A7, but it is expected not far from the selling price of the Oppo A5.